I would like this thread to be a place where people can post about new jazz recordings, and by new I mean new recordings not re-issues and less than 12 months old. Because there is so much great jazz from the past one can easily listen to only music decades old and never run out of great recordings. This is not necessaily a bad thing, no, but when it leads people to begin to think that "jazz is dead" then it perpetuates a myth that there is no new jazz being done that is any good. 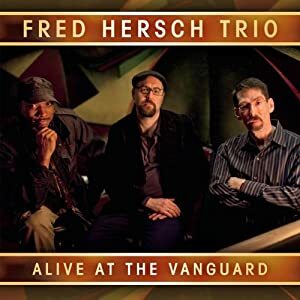 "Hersch has found musical soul mates in drummer Eric McPherson and bassist John Hébert, who played in pianist Andrew Hill's last rhythm section. They are players who can set up a fluid flow or pack a prodding punch, and who seem always capable of enhancing Hersch's exquisite sense of melody, beginning with the pianist's gorgeous original opener, "Havana," filled with a feeling of spicy romance and a vibrant momentum." (quote from Dan McClenaghan's review, also in All About Jazz). I hope others contribute their own selections and slowly we compile a nice living discography of new jazz records so that the myth can be put to rest. It's interesting you mention Fred Hersch. He's one of my favorites. He has such beautiful harmonic and melodic conception on the piano. I was just listening to Horizons with Marc Johnson and Joey Baron the other day and I love this album. I own a lot of Hersch albums but I don't own them all. The last release I bought was Night and the Music. You are right; and that rhythm section is fantastic. They also have recorded several CDs with Enrico Pieranunzi, who if you have not already done so, you should check out. Pianist Luis Perdomo's presence is marked by attributes that include lyricism, depth and adaptability. The onetime member of saxophonist Ravi Coltrane's quartet has worked on many releases for artists like trombonist Steve Turre and saxophonist Miguel Zenón. 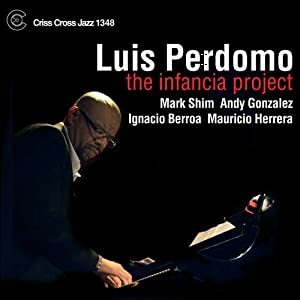 His visibility is coming more into focus with The Infancia Project, which the New York-based pianist avoided making for many years over concerns of being typecast as "just another" Latin jazz musician. I'm very familiar with Pieranunzi's work. The Italian Bill Evans? Possibly. "We all always talked about revisiting that band at some point, but with both Mike and Dewey gone now, that will never happen," he continues. "But then Chris Potter came along. As a fan, I have watched as he has become one of the greatest musicians of our time, and when we were both invited to play on Antonio Sanchez's debut record, I immediately saw that we had a natural way of playing and phrasing that suggested something more. I started thinking right then of somehow building a project around that." 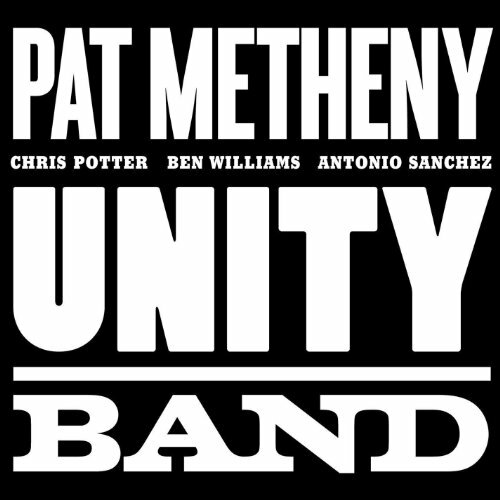 For the rhythm section, Metheny explains, "Antonio was kind of an obvious choice; he has been one of my closest associates over the past ten years and has also played a lot with Chris. He is such a special musician. There was a certain kind of power I knew that Chris and I would be getting to and I can't think of anyone who could take us to that place better than Antonio." He continues, "A few years ago, Christian McBride invited me to an event that he was leading with the jazz students at Juilliard. Ben Williams was featured on a few tunes and his playing spoke to me immediately. I used Ben a few times to sub for Christian with the trio and found him to be a great playing partner and a great person too. He and Antonio had an instantly effortless rapport." 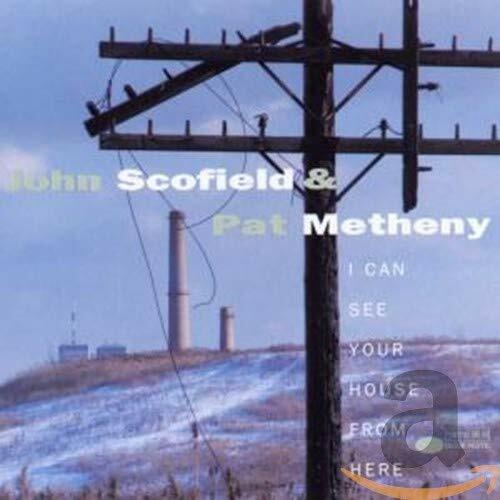 Guitar giants John Scofield and Pat Metheny teamed up for the first time on records for this CD. The collaboration does take awhile to get going and it is not until the fourth cut, the bluish "Everybody's Party," that the sparks begin to fly; fortunately the momentum does not let up much throughout the remainder of the CD. All of the selections (including two blues) are originals by either of the guitarists and, with the accompaniment of bassist Steve Swallow and drummer Bill Stewart, this varied set generally lives up to expectations. Both good new jazz releases. I've been a fan of Branford Marsalis for a long time. While I also like his brother's records, I consider Branford to be the more interesting musician, to my taste. 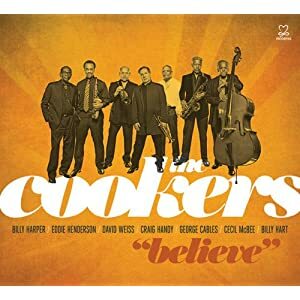 This latest CD uses his regular quartet, sans Jeff "Tain" Watts, who have a telepathic camaraderie, and this is not compromised with the new drummer. The music on Four MFs Playin' Tunes covers a wide range of moods, from heart-aching ("My Ideal") to earthshaking ("Whiplash"), but the focus is always on in-the-moment, conversant interplay rather than variety for variety's sake. The quartet doesn't look beyond the work at hand and that benefits every number, as they're able to fully invest themselves in each piece. Tropically-tinged modernism ("The Mighty Sword"), flowing contemplation ("Maestra") and wondrous jumbles of melodicism buried under a deluge of notes ("Endymion") come into the picture at various times, as all four men feed off of each other to find their way. I am really enjoying this album, thanks for the recommend! I moved on to two other releases from Hersch, Letting Yourself Go (solo) and Da Vinci with Nico Gori...wow fantastic stuff. This band goes in for a lot of written sections giving their sound a more "classical" feel. Check it out; like I said, it is very interesting and very good (imo). 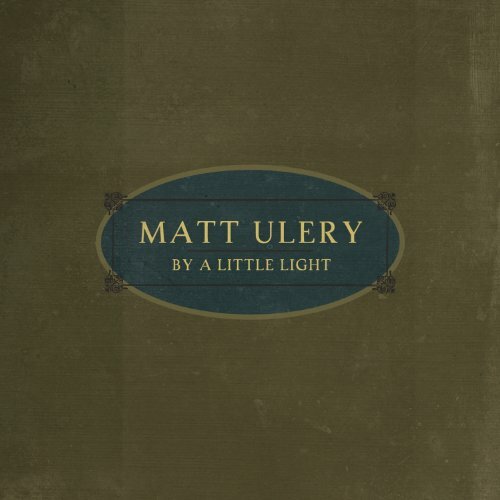 A unique blend of traditional jazz, classical, Eastern European folk, and modern idioms, Mat Ulery's By A little Light is steeped in a melancholic grace and shadowy beauty that provides the two-disc set its unifying force. Throughout, Ulery has chosen detail and the oblique over the grandiose to etch his dusky scenes and portraits that seem to capture discreet emotional moments the way master photographers can distill vast meaning within a single frame. Personnel: Jason Stein: bass clarinet; Keefe Jackson: tenor sax, contrabass clarinet; Joshua Abrams: bass; Frank Rosaly: drums. I found this by searching Google with the words "jazz bass clarinet" and found Jason Stein's albums. Stein exclusively records with the bass clarinet, and whether in a trio, solo or quartet setting, his music is built on stable construction, but not without interesting flights off the beaten path. The texture of the bass clarinet is my favorite woodwind sound, and because of this, I am in heaven. This Story This Time is the debut of John Stein's Quartet, released Oct 2011. It is an amazing record that swings, contemplates, and swells with beautiful textures. Stein's five compositions are mixed with those of Lee Konitz, Warne Marsh, Lennie Tristano, and Thelonious Monk. The heads of each track establish a wondrous sound, combining bass clarinet with tenor sax (and sometimes contrabass clarinet also played by Keefe Jackson). The improves weave with melody and explorations in space and harmony, tiptoeing the line between hard bop and free jazz, with the gritty mix of texture on top and within. Very interesting! Thanks for the post I will look for it on either MOG or Spotify. Awesome....Thanks for starting this thread. I'll check out the Metheney stuff and the new Marsalis. I'm enjoying the most recent Mehldau album greatly if anyone has missed it. 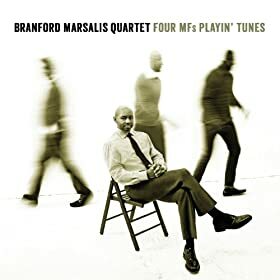 I quite like the new Branford Marsalis too, he continues to really impress. 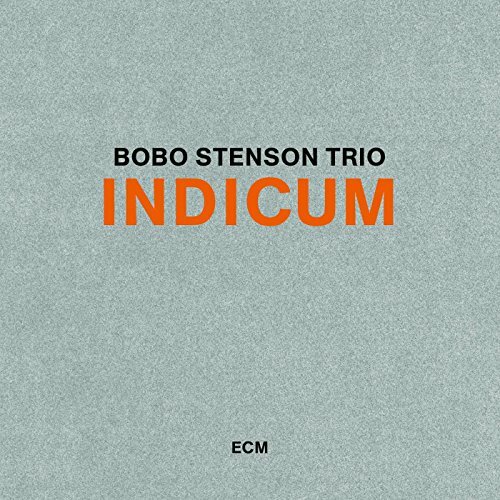 The latest Bobo Stenson Trio CD has a new drummer, Jon Fålt - and it is the best (imo) record Stenson has released in some time. Jon Christensen had been his long-time drummer, but due to both philosophical and health reasons, he no longer was interested in "playing time" and this factor as well as his inability to use his legs as much as he probably would have wanted, limited the trio's sound. That said, and I love his playing in general, Christensen had lost interest in playing time before his health became an issue. 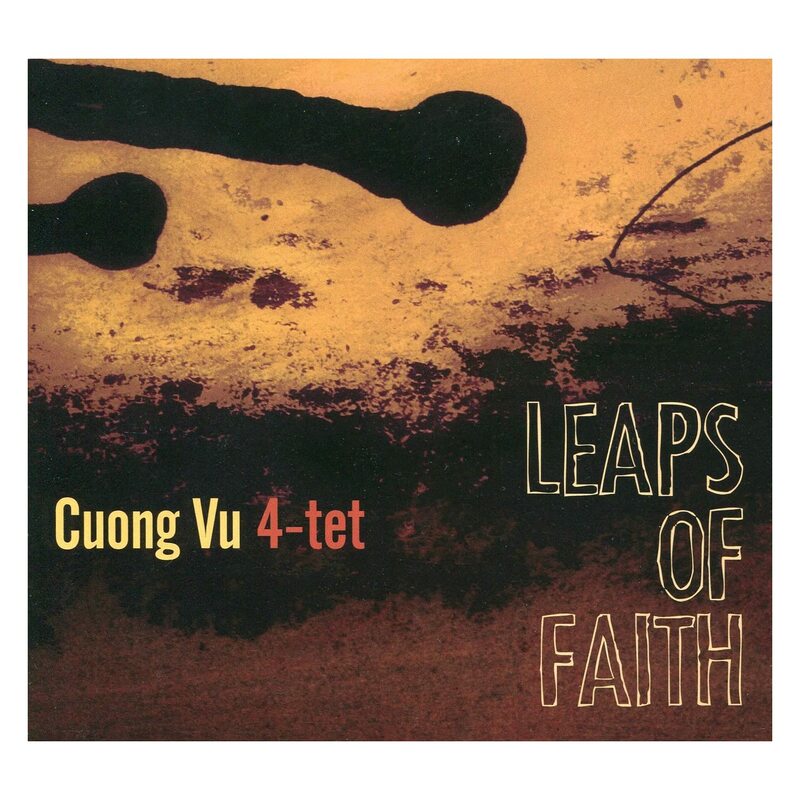 I have really been enjoying this one lately--Cuong Vu Leaps of Faith, especially the track "I shall never come back"
Thanks for the heads up - I'm listening and it is a new group for me. Good stuff. A month or so outside the 12 month cut-off for this thread, the latest CD by John Scofield is worth mentioning nonetheless. John Scofield’s follow-up to the gospel-driven Piety Street is a 180 degree shift: an album of ballads. This is not elevator muzak or instrumental versions of “adult contemporary.” These 12 tunes are sublime selections, exquisitely touching because of the sensitive musicianship of Scofield’s accompanists, Larry Goldings (piano/organ), Scott Colley (bass) and Brian Blade (drums). Scofield’s five worthy originals (notably “Johan”) stand confidently beside the standards. The group’s cohesive interplay is on full display in “I Want To Talk About You,” where they respond to Scofield’s intense phrasing and contrasts in register before Goldings takes a turn on piano. A supreme rendition of “I Loves You, Porgy” closes the disc, and we’re left, gently and contemplatively, thinking of the album’s title. Relix review. "It's an album of slow, gentle music," says the perennial poll-winning guitarist. "But at the same time, we didn't want it to be easy listening. We tried to really play on all the tunes. For me, no matter what kind of music, it's really important that it be fresh and that we're really playing something. The creativity, when accompanying or soloing, has to be there." 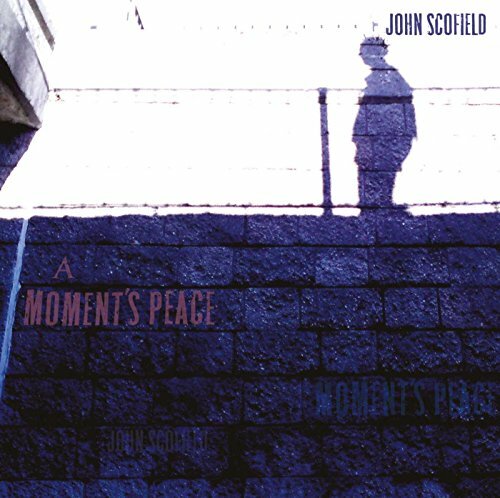 Regarding the relaxed accord that his empathetic crew strikes on A Moment's Peace, Scofield says, "These guys can play beautifully and unhurried and really capture the mood of a song. To be relaxed but have it be fresh and energetic...that's the trick."